Nepal is a small but very beautiful country which is wedged on the map between China and India and has some of the most spectacular scenery, mountains and landscapes in the world. For these reasons alone it has made Nepal a popular destination for travellers, climbers, trekkers and mountaineer’s for many decades. Due to the increase in tourism over the past decade, Nepal has begun to grow certain parts of its economy which revolve around accommodating tourists in certain areas of their country. As a country Nepal has some areas that are relatively built up such as the capital city of Kathmandu while other areas are far less developed and are still very poor. There are plenty of great places for tourists to visit when you get to Nepal and we will outline a few of these below so that you can get the most out of your trip to this beautiful country. When you arrive in Nepal by plane you will more than likely be landing in Kathmandu which is the capital city of Nepal. If you have never travelled to this part of the world before then you might be surprised by the noises, culture, animals, colours, sales people and air pollution when you step into the city for the first time as it is quite a far cry from any Western city you would have ever visited. Kathmandu has some great things to do for a few days while you are there with plenty of small shops, bars, clubs and sights to see. 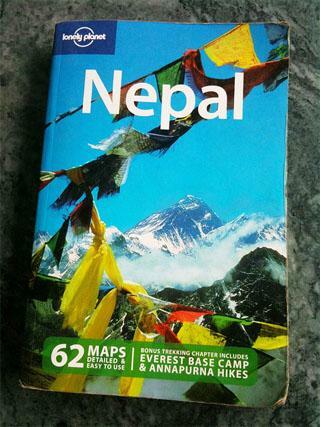 The best thing to do is to get yourself a small travel guide such as the Lonely Planet Nepal book and this will show you where all the monuments, shrines and interesting places to visit in the city are. There are a lot of tourists in Kathmandu and as a result there are a lot of people selling you things and they are very persuasive so don’t be talked into giving money for goods you don’t want. Pokhara is a very popular city in Nepal as it is a starting off point for many trekkers who wish to go on the many different trek routes in the Western area of Nepal such as the Annapurna Circuit. Pokhara is a stunning little place in Nepal and is a must visit with its millpond lake that perfectly reflects the huge Himalaya mountains that surround it. Pokhara has a lot to offer in the way of merchandise, culture and water sports on the lake, so it really is worth the time to visit when you go to Nepal. Lumbini is known all around the world as being one of the most religious sites in history as it is meant to have been the birthplace of Gautama Siddhartha Buddha. Due to this fact it is a hugely popular destination for travellers and pilgrims who come in a very relaxed fashion and take their time to meditate in the monasteries that surround the holy site. If you are looking for culture, religion and some real historical experiences then Lumbini is the perfect place to see all of these without a doubt. Jonathan K. the author of the “How to get the most out of your trip to Nepal” works with a Nepalese travel agency organising guided tours and trip to Nepal and surrounded region.